Ho Chi Minh City’s Party members, soldiers, and people are determined to strengthen solidarity and boost both the city’s development and the overall development of the country, city Party leader Le Thanh Hai said. 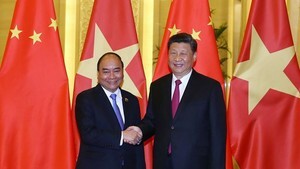 He made the statement at a grand meeting held yesterday at the Municipal Theatre to celebrate the 120th birthday of late President Ho Chi Minh (May 19). 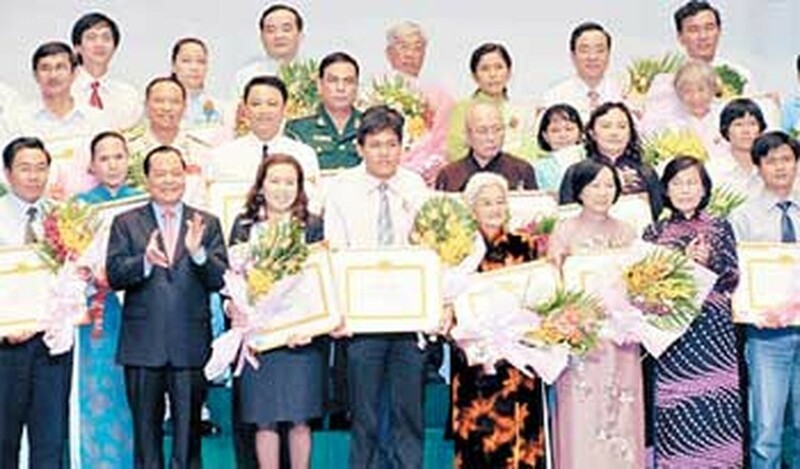 Present at the anniversary ceremony were Party leaders, Government officials, heroic Vietnamese mothers, army heroes, war veterans, and young people. Speaking at the event, Mr. Hai, member of the Politburo and Secretary of the city Party Committee, highlighted Uncle Ho’s great contribution to the nation’s revolutionary cause of the past. He called for all HCMC residents to devote their entire mind to the building a sustainable development for the city in particular and the country in general. Earlier, a Party and Government delegation laid a wreath at the Ho Chi Minh Museum, which witnessed 103 local and international delegations pay tribute to late President in May 19 alone. The same day, the city Department of Transport and Binh Chanh District authorities launched a tree-plating ceremony to commemorate the late leader in the district’s interchange Tan Kien. Meanwhile, the Truong Sa island district of Khanh Hoa province held a meeting the same day to mark the late leader’s birthday anniversary and also to inaugurate the Uncle Ho Memorial House. The Memorial House is located on 65 square meter area of Truong Sa Lon island, part of the Truong Sa (Spratly) archipelago. The House has been constructed at a total cost of about VND4 billion (US$210,000), funded from within Nghe An province’s budget, as well as contributions made by organizations and individuals of the province. The House boasts a one-ton bronze statue of Uncle Ho and contains other sacred items as part of its shrine to the late leader. It also has a collection of documents, materials, and photographs that highlight the life and revolutionary career of the late leader and his relationship with the armed forces, including the Navy, as well as his strong connection to the public. The Uncle Ho Memorial House is a place for local people to visit the late leader and study and follow his moral example, said Bien Van Quang, vice chairman of the Truong Sa district People’s Committee at the inauguration.